Brewed Awakenings is the coffee haven you didn't know you needed. I stumbled upon Brewed Awakenings by accident when I was supposed to meet a friend at Brew HaHa. Unbeknownst to me, I was at Brewed Awakenings instead, waiting for my soup and iced coffee to arrive. Like a lot of other students, I had never been to Brewed Awakenings, since our campus’ Main Street has quite a few coffee shops to choose from and Brewed Awakenings is pretty hidden. However, I am eternally grateful for the mix up since it led me to the quaint and lovely coffee shop that is now my favorite place to study or hang out. 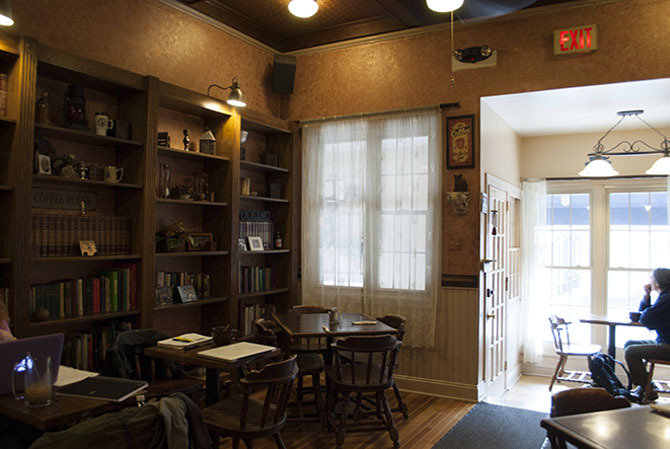 Tucked away on the busiest street in Newark, Brewed Awakenings boasts a friendly staff, a great meal, and a cozy space to take a break from it all. 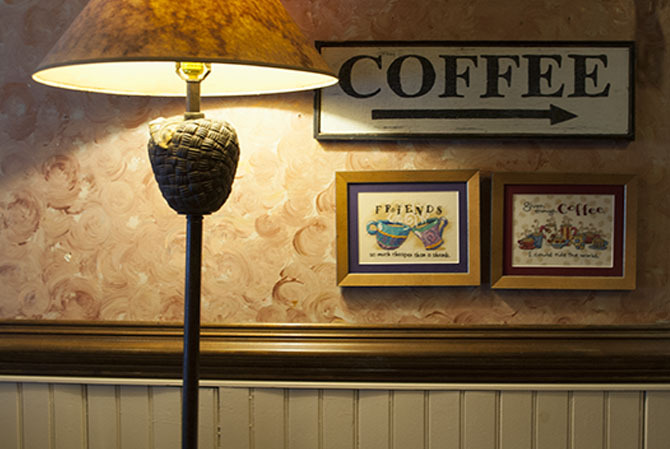 Brewed Awakenings serves delicious organic fair-trade coffee and tea. Drinks come in wide mugs and tall goblets that are filled high, so you always get your money’s worth and the caffeine boost you need. The menu is extensive, and each drink is flavor filled and perfected. Even when every table is full, the shop magically remains quiet and is the perfect environment to study. It’s as if the customers have an unspoken agreement to respect each other’s productive time. In addition to its peaceful ambiance, every detail of the shop – from the color scheme to the large bookshelf and textured ceiling – is decorated beautifully without being overwhelming. While you’re sipping away and studying, you’re bound to get hungry. You’ll need real food to fuel your midterm cram sesh, not something pre-packaged or frozen from an ordinary coffee shop. 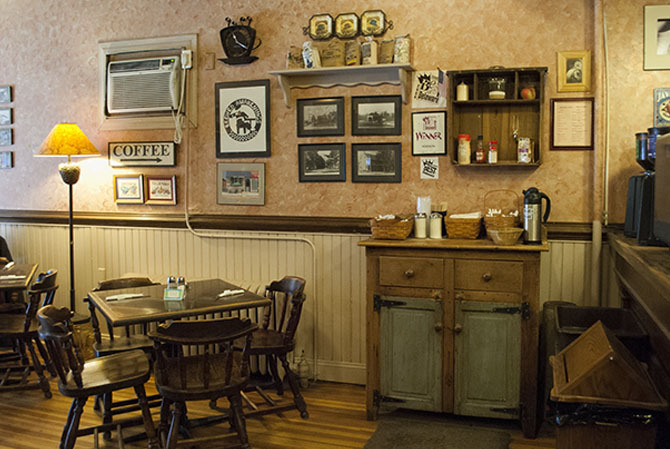 At Brewed Awakenings, they offer delicious and hearty sandwiches, soups, and salads. When it’s cold out, I often order their soup of the day, which they always serve in generous portions. 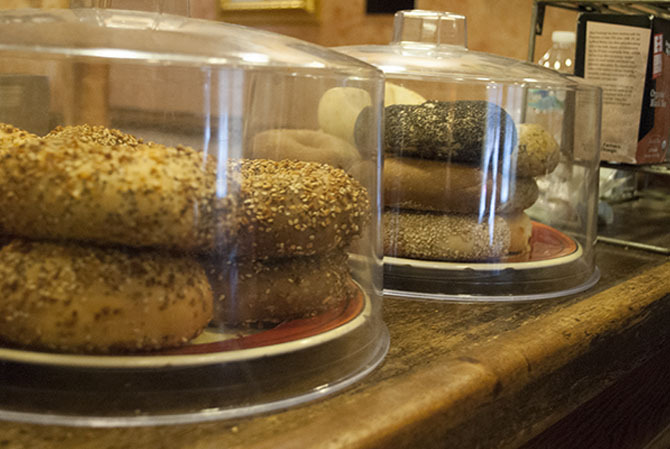 Their soups are crafted to perfection and come with a toasted bagel. My favorites are the Fire Roasted Vegetable and Beef Chili. The Fire Roasted Vegetable has just the right kick, and you can appreciate the thought that went into choosing each ingredient. It contains all kinds of vegetables: zucchini, jalapenos, roasted red peppers, creamy potatoes, and grilled corn, which really complements the spicy flavor. Another satisfying lunch to try is their Chicken Salad Mango Wrap, which comes with chips and a pickle. The next time you need a quiet study place or just a scrumptious meal, I highly recommend checking out Brewed Awakenings on Main Street.